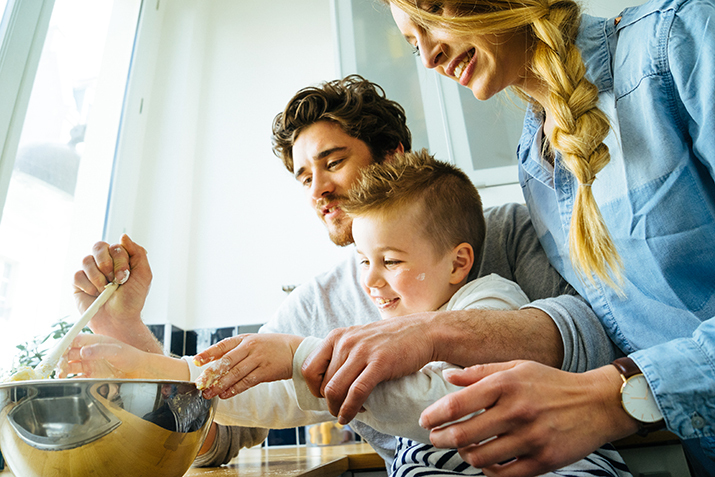 Cooking with kids is often a rewarding experience for both adults and children. 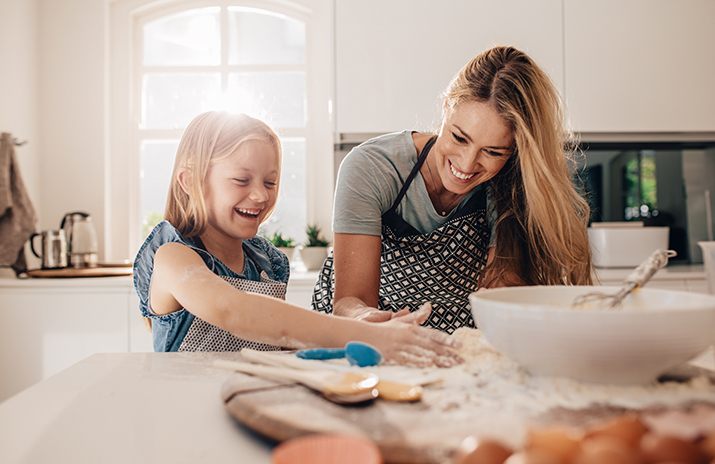 It gives families an opportunity to bond and teaches valuable lessons to kids about responsibility and discipline when following instructions in a recipe. The active participation of kids is the first step in teaching them the valuable skill of cooking. Trusting your child to help with an important daily activity encourages a sense of responsibility. When children are involved in preparing a meal, they often realize their dependability and accountability. In addition, kids will enjoy the profound sense of accomplishment when contributing to the process of crepes. The active guidance and interaction with parents often helps to foster and build a child’s self-esteem. When following steps on a recipe, there are many opportunities to teach your child. Following the instructions carefully to achieve the correct end-result will improve kids’ reading abilities. Adding correct measurements teaches kids about fractions, like the difference between ¼ cup and ½ cup, or how many thirds are in a whole. The learning opportunities in mathematics are endless, from setting temperatures to determining the pan size, making crepes will teach your child about numbers, size estimation and geometry. Lastly, the experience of how specific temperatures and ingredients react to each other to create a new product is a unique way to teach kids science. When deciding on crepe flavor ideas with your children, incorporate ingredients they already enjoy in your own cooking. If your child enjoys chicken, greens and Caesar dressing, throw it all into a crepe for an exciting and new creation on a chicken Caesar wrap. Another fun idea to demonstrate to your child is that ingredients in grilled cheese sandwiches can easily be as tasteful when turned into crepes. For fussy eaters, we recommend guiding your children but also giving them a sense of independence in choosing their own savoury stuffing for their crepes! An excellent choice for any child that is sure to satisfy, is a sweet crepe. You can really use your imagination here and be creative, as there are many possibilities to work with. A popular flavour with young palates is strawberry. Whether you want to make a simple strawberry syrup to drizzle over your crepes, add fresh fruits, whipped cream, chocolate or a chocolate and hazelnut spread, many flavour combinations pair well together to create something fun and delicious. Come in and Try Our Kid’s Crepes! At Crepe Delicious, we have a special kid’s menu that is sure to appeal to your children. With our two savoury selections designed especially with young tastes in mind, accompanied by our extensive sweet options, we are sure to have a crepe that your child will love! On our menu, you’ll find our complete selection of Kid’s Choices and Sweet Treats. Visit a location near you to come in and try your favourite!